As a contract development and manufacturing organization (CDMO), MilliporeSigma was commissioned to perform the technology transfer and optimization of bioprocess chemistry and associated analytical methods for the production of antibody-drug conjugate ADC-X. This therapeutic agent’s construct featured a novel IgG1 isotype antibody conjugated to a new drug linker; it was to be used as an active pharmaceutical ingredient (API) for human Phase I clinical trials. 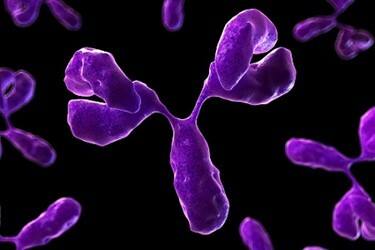 The client needed a clinical batch produced from 1,000 grams of antibody, under cGMP. Production featured longer processing at a higher temperature than is typical of ADC manufacture, placing the process at higher than normal risk for bioburden growth. It was up to the team to develop consistent and scalable bioprocess chemistry that reliably afforded a high yield of functional ADC-X with the desired final product specifications.